Time was when August was a month when theatrically-inclined Londoners could catch their breath. Brave parents would wave goodbye to aspiring thespians at Kings Cross and with a song in their hearts, a rucksack full of dreams and a hand filled with flyers, bright young things would flock north of the border ready to discover that the course of the Royal Mile never did run smooth. The Camden Fringe, celebrating its 10th anniversary this year, rather adeptly stepped into the breach and offers what perhaps could best be described as the Fringe’s Fringe. Rather than have venues lie fallow in August, it offers a wide variety of performers a chance to test out new material without having to make the kind of financial commitment Edinburgh requires. Footfall Theatre took the Edinburgh route last year and their show, Lear’s Daughters, sold out at the Fringe before getting a Christmas run at the Hope Theatre. It was a text that fit clearly with the newly formed theatre company’s mission to explore how to bring new life to the female voice in Shakespeare. This blog is a sucker for any attempt to do something innovative with Shakespeare (hence a joyous trip to mercurial avant-garde polyphonic Polish renditions of King Lear) and so this philosophy instantly attracted me to Arden Creatures, performed at the Cockpit Theatre as part of the Fringe. Rosalind, As You Like It’s heroine, is often thought to be Shakespeare’s strongest female creation. Independent, quick-witted and loyal, Rosalind is given much stage time and some choice lines. As Rosalind herself notes, she is even given the rare privilege of delivering the final lines of the play despite it ‘not the fashion to see the lady the epilogue’. I have often found Shakespeare’s pastoral comedies long on length and short on laughs. The ruminations about country life versus city life have never really interested me, and the treatment of Phoebe can seem rather cruel in a play that champions the female voice in Rosalind (not for the first time class appears to trump gender in Shakespeare). So with those reservations in mind it is heartening to find a production that does make you see a Shakespeare text in a fresh light. In a play that it is cut to an hour, retains four roles – Rosalind, Celia, Orlando and Jaques – and moves dialogue and plot points around at will, it could be argued that we are no longer watching Shakespeare’s play. Possibly a fair critique but what we do still get is the opportunity to hear his wonderful dialogue tell a gender-bending love story. It works remarkably well, and whoever was responsible for script editing deserve great credit. It retains a very clear sense of itself, and the only moment that I felt was really left unexplained was how Rosalind and Celia found themselves in Arden to begin with. However that minor quibble aside, it does a fine job drawing out the play’s natural comedy. One of the strongest directorial touches was to parallel the actions of the characters with the courtship of birds. Cutting the text draws out vividly how many allusions Shakespeare makes to animals, and birds especially, within As You Like It. It is imagery that he comes back to again and again, and Isabelle Kettle has made this a central theme of the production. She has the actors continually mimic the preening, strutting nature of birds to the extent that it becomes a natural extension of their characters. It is an astute piece of direction for this play that so often focuses on gender reversals. In nature it is the male birds who must display their plumage and undertake elaborate courtship rituals to attract the attention of a mate, and this is mimicked throughout the production from the comedic interplay of the wrestling match through to Orlando’s love poetry hanging from trees in the forest. The cast are solid throughout, and perform with considerable poise that belies their relative inexperience. In general the intricacies of the Shakespearian verse were well-handled but on occasion the broad comedy built the momentum to such a pace that the dialogue became a little unclear, and there may be an opportunity to reflect on this as the production develops. 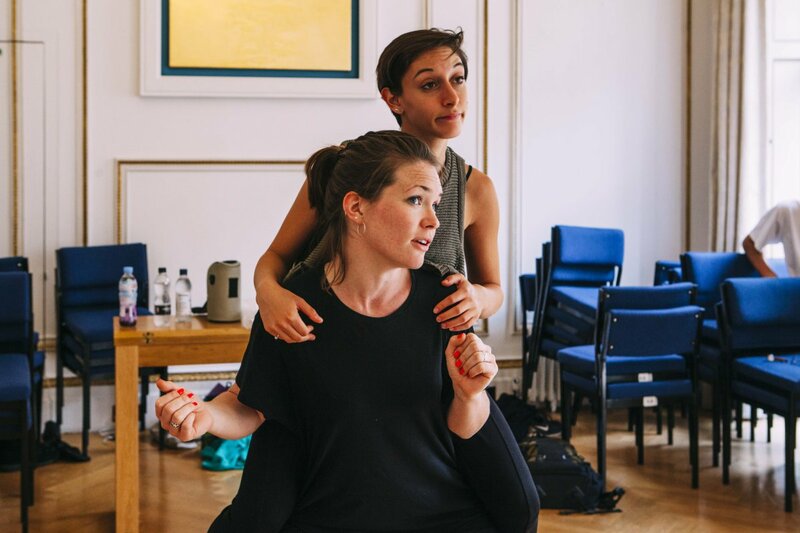 However Olivia Emden (Rosalind) and Charlotte Quinney (Celia) were very good, and have developed an on-stage relationship that seems to fully capture the intimate closeness of female friendship. In particular Quinney stood out as having an adept comic touch. Her growing fury as Rosalind continued to interrupt her story was a piece of strong comic plotting, but it was in her ability to deliver little comedic moments outside of the main action without upstaging her fellow cast members that displayed her natural comic potential. Arden Creatures is a very solid performance from an exciting new company. It is not yet the finished article but that is part of the joy of the Fringe, and I look forward to seeing this once it is further developed or whatever the next classic text they turn their attention to will be.